Ocean Champion and Minister for Fisheries Semi Koroilavesau. Fiji needs to put in place a seasonal ban to stop the harvesting and sales of groupers (kawakawa and donu) from June to September each year. 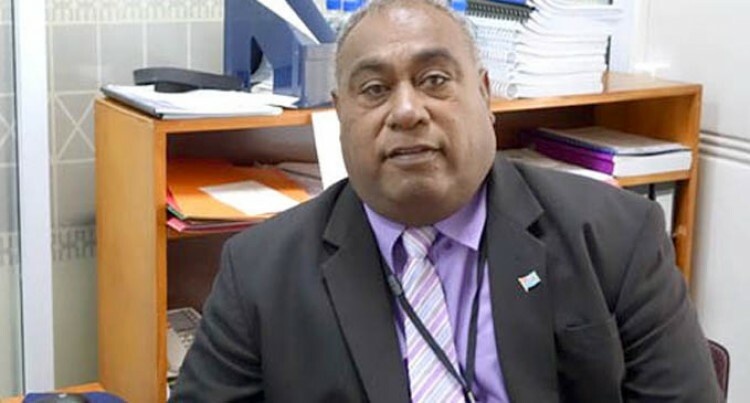 The call has been made by Minister for Fisheries, Mr Semi Koroilavesau after a survey that was conducted since 2003 to 2016 confirming that about 70 per cent of aggregation sites that were identified are now declining. “Research was carried out by the Ministry of Fisheries together with the University of Hong Kong (UHK) and Science and Conservation of Fish Aggregation (SCRFA) and findings clearly showed that where aggregations had been heavily targeted (particularly reefs closer to fishing communities), landings have declined,” Mr Kroilavesau said. “One such example is the Mali Passage in Macuata, Vanua Levu which is located about 15 minutes by boat from Labasa Town where a survey was conducted in 2005, clearly indicating the declining catch in the passage,” he said. “The follow up survey conducted in 2015 clearly confirmed that the Mali Passage is non functional and the site is dead (aggregation no longer form in this passage) due to uncontrolled fishing,” explained Mr Koroilavesau. He added that once these fish stocks are overfished, the potential for recovery of these groupers in Fiji will be severely compromised, since aggregations are the only places that they can reproduce. Groupers are Grade A fish which usually fetch high prices and it’s demand is massive for both the local and international markets. It is noted that more groupers are exported during the spawning season than at any time of the year and this could drive the prices of grouper up in the local markets making it hard to obtain grouper in the local markets. Mr Koroilavesau added that the best management and conservation mesaure for these groupers (kawakawa) and coral trouts (donu) is to completely ban the fishing of these highly targeted coral reef fish species during their peak spawning season, which is from June to September each year. The Fiji Government made a volutary commitment during the United Nations Ocean Conference 2017, for the protection of groupers and coral trout spawning season and aggregation sites across the Fijian reef system. “My ministry is heading this commitment with the partnership and assistance of other Government agencies, non-government conservation partners, regional organisations, academia and a few international organisations,” he said.  By 2018, introduction of the protection of key spawning aggregation sites using Marine Protected Areas (MPA’s) and other management tools, with a strong focus on prioritising domestic needs over export trade.  By 2018, there will be a seasonal closure that protects critical spawning grouper aggregrations by prohibiting fishing and sales during the main spawning season between June through September each year.  By 2019, formulate and implement a Grouper and Coral Trout Management Plan. Under this commitment the ministry will work on progressing towards better management actions for these aggregating species. There will also be stronger enforcement of the legal size limits for groupers at major market centres across Fiji for any exported fish.